5x5 framed print - $42. 11x13 framed print - $86. 19 X 23" Outer frame measurement sizes - $169. 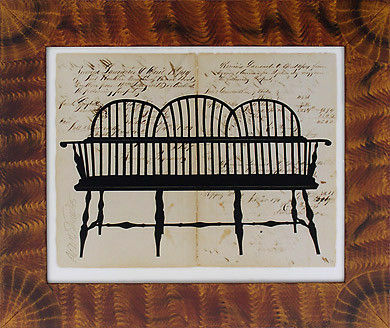 Windsor Bench print on antique ledger page. Available in 4 sizes. ©2012 Alison Shriver Designs - The entire content of this site, including the works of art displayed is protected by US Copyright law. Use of any site graphics or images or the copying of artists' original works without consent is prohibited.